Do you conserve pastel drawings / posters / miniatures / maps? Yes. All of these works usually have either a paper support or use media associated with works on paper and can be restored and mounted by a trained paper conservator. Do you conserve oil paintings? 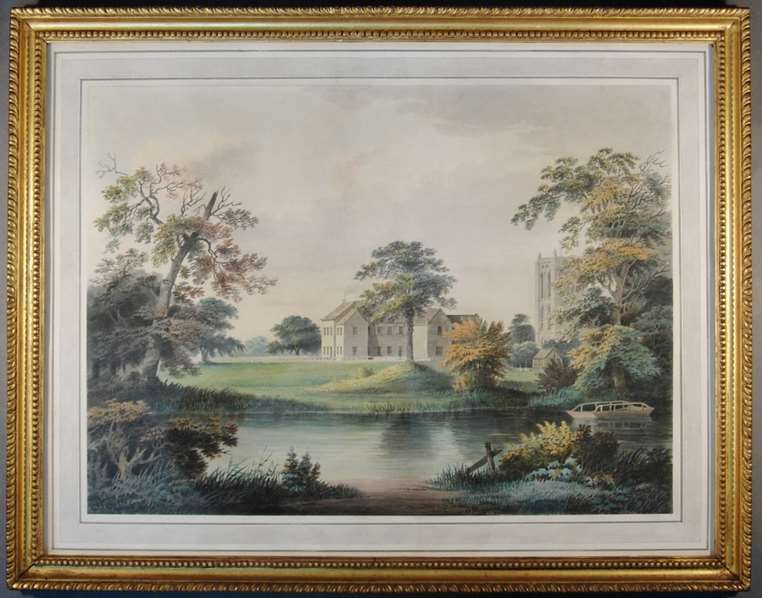 Artworks Conservation generally specialises in the restoration of works of art on paper, e.g. watercolours, prints and drawings. However, we can recommend local specialists in easel painting conservation if required. If you are unsure what the medium of the artwork is, we would be happy to help with identification. Artworks Conservation can undertake reframing or adjust existing frames on oil paintings, e.g adding specialist glazing products. We have links with a number of frame restorers in the region, who carry out work for the public, trade, museums and galleries. We can advise on the best course of action regarding damaged frames and make arrangements for restoration work to be carried out. How much does restoration cost? Due to the great variety of artworks, in terms of media, scale and condition, please contact us for a free assessment of condition and estimate for conservation, mounting or framing. An appointment can be made to bring an artwork to the studio or, if preferred, images of the artwork can be sent by email. Do you carry out mounting and framing? We can cut mounts to match your artwork. We stock a range of museum-quality, 100% cotton, acid-free mountboards. Hand-decorated mounts can be provided for historic watercolours. Artworks Conservation can supply and fit a wide range of frames from simple wooden mouldings to hand-gilded frames or contemporary, acrylic boxes. All mounting and framing is carried out to the highest conservation standards.